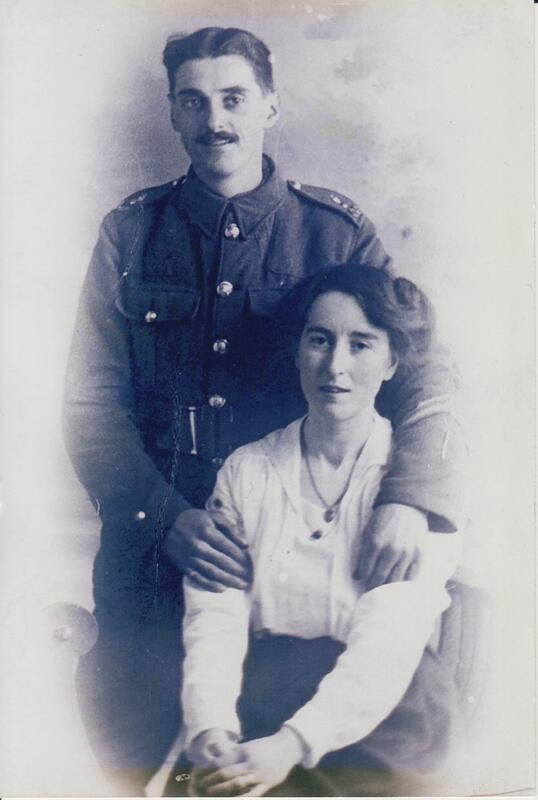 In June 2014, as the Great War commemoration events approached, Salisbury resident Ena Baldock was moved to share her father’s story with a local magazine in the hope of shedding light on the plight of the many men who returned from war blighted by their wounds. Much has been written about the dead in the First World War, but not much about the men who came back with long-term ill health, and the effect it had on their lives. They were abandoned to cope for themselves, apart from the charitable associations like the British Legion and the Salvation Army. 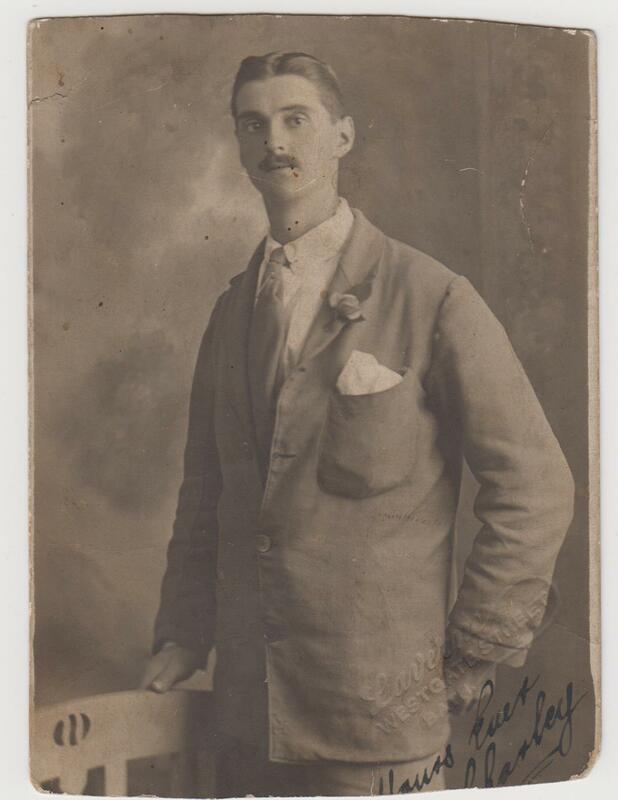 My father was born at Dilton Marsh, Westbury, Wilts, in April 1893. He was the third son. His father was the butler at Chalcot House, home of the Phipps family. 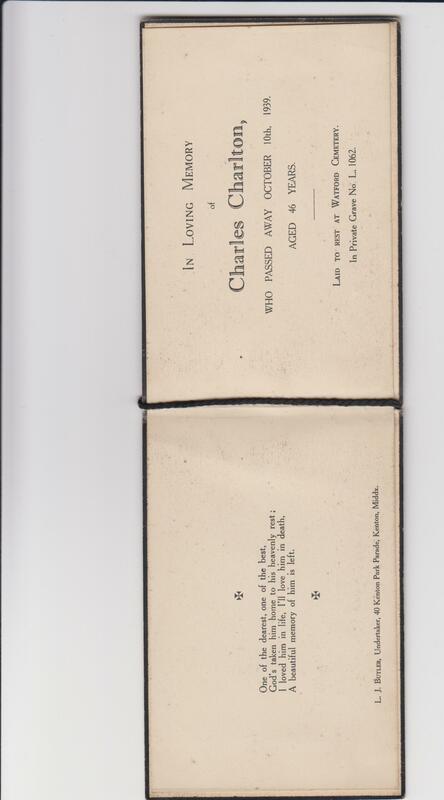 Charley Charlton started his life as a footman and joined the Rifle Brigade in July 1912 aged 19. He was there for one year and transferred to the Grenadier Guards at Wellington Barracks, May 1913. He was a regular soldier discharged as ‘surplus to requirements due to impairment’ in August 1919. During his time [in the Great War] he was shot in the head and left leg and gassed. Charlie Charlton in convalescent clothes – some time after 1919. As far as I am aware, my father was given a pension of 7/6 for 26 weeks. It is my understanding that he asked for a lump sum and bought a ladder, buckets and leathers and set himself up as a window cleaner. I don’t know how long he managed but his health gave out and he became an invalid. My mother had to take over the role as provider. 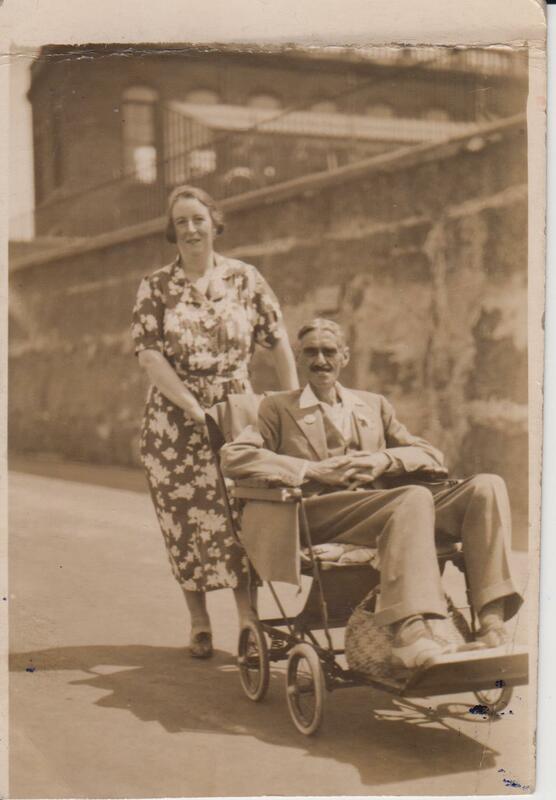 By the time I was born in 1931, he was in a wheelchair weighing 6st 5lb. There was no Welfare System then, only the Relief Man who would visit to see what you could sell before he would give you any money. I only remember my father as a thin, fragile man sitting in a chair. I could never sit on his lap or have a cuddle: he was too weak. Dad died when I was eight, in October 1939, a month after the Second World War was declared. He told my mother to get us children out of London as soon as possible because of the bombs. Please don’t let my father, or others like him, be forgotten. He never had a headstone because he did not die in war, he died because of it. I have my father’s record of war service and medals etc. I have promised in my mind that one day I would write his story. Thank you so much for reminding us that the cost of war was not just the number of deaths but the lives wrecked afterwards. My father always said his own father would not talk about the war at all until he was near the end of his life, and then all the memories came flooding back and he wept to remember what he’d seen. The scars can be mental as well as physical – he was probably suffering PTSD when he returned but in those days people didn’t acknowledge it and things were bottled up instead. Very sad.